A senior Brisbane judge has sent an HIV-positive man to prison for 12 months as a "genuine deterrent" to prevent others from spitting or biting police because he believes "there are now diseases in the community which are spread like this." 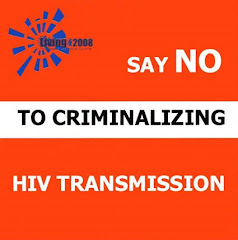 Judge Gilbert Trafford-Walker requires a lesson in HIV transmission: there is zero risk from biting or spitting. In this case, the bite had not even broken the skin. AN HIV-positive man who bit a plainclothes constable was jailed yesterday as a deterrent to others tempted to attack police. Lucas James Bullingham was jailed for 12 months with a parole release date after three months. His counsel, James Godbolt, had argued any sentence should be wholly suspended because the bite had not broken the skin and there were other mitigating factors. But Senior Judge Gilbert Trafford-Walker told the District Court in Brisbane that spitting and biting police had become all too common in Brisbane. "When I first became a judge, many years ago, it was unheard of for anyone to bite or spit on a police officer," he said. "But in recent years I have had to deal with many, many cases. "At the same time there are now diseases in the community which are spread like this. "The courts have to impose sentences which will be genuine deterrents." Judge Trafford-Walker said the police officer had a wife and young child and the risk of contracting HIV had been devastating for him. Bullingham, 28, pleaded guilty to serious assault on November 29, 2006. Prosecutor Dana Balic detailed how Bullingham had been arrested for public drunkenness at New Farm and taken to the Valley police station. He was being placed in a van for transport to the watchhouse when he bit the officer during a struggle. Mr Godbolt said while Bullingham was HIV-positive there had been little chance of passing on the disease because the skin was not broken. I seriously doubt all the information relating to this altercation have been printed. Good onya CourierMail, for yet again, only printing HALF the facts!!!!! !